The purpose of this course is to enable students to participate in and study varied aspects of American Musical Theatre, including music theory, development of basic skills in vocal production, stage movement, characterization, choreography, and the technical aspect of a musical production. Extra after school rehearsals and performances are required. Instructor approval is required. This is an introductory course and requires attendance and participation in addition to the fundamental academics of drama. 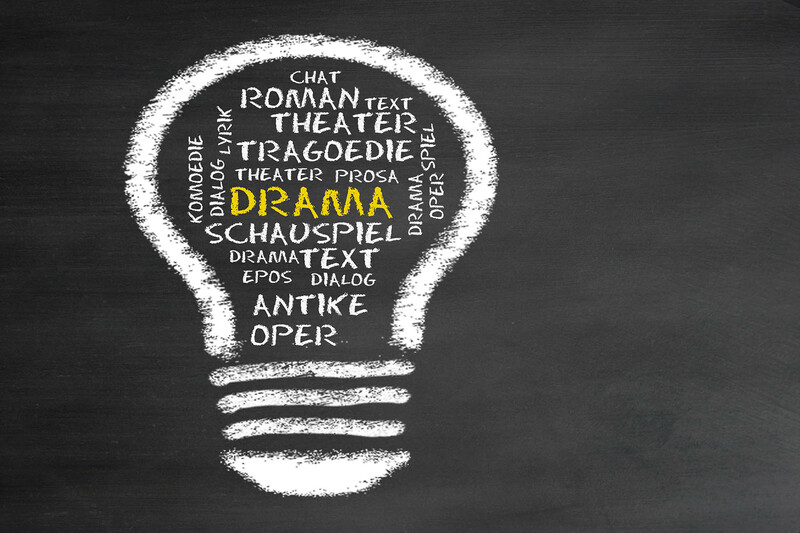 This course requires completion of Drama I to allow entry. It deals with characterization, styles, theory, and the historical and political influences of the performing arts. These courses require instructor permission, by audition, and successful completion of Drama I and Drama II. This advanced class encompasses the previous course’s instruction and aids in developing a practical, hands-on skilled student of the performing arts. All enrolled students are required to audition for competition, and all main stage productions. Extra after school rehearsals and performances are required. Allows students to design and construct the sets for mainstage productions, development of scale models and lighting design skills are also mastered. Students are required to observe and participate in after-school events. Instructor approval is required. This class provides a hands-on approach to learning about television production. Students learn behind the scene operation of various pieces of equipment as well as performance in front of the camera. Some after school filming/work is required. Limited class size – student must apply and be accepted by the teacher before registering for the class. The purpose of this class to produce the SHS TV News – “The Sting” each day. The class provides a hands-on approach to learning about television production. Students learn behind the scenes operation of various pieces of equipment as well as performance in front of the camera. Some after school filming/work is required. Limited class size -students must apply and be accepted by the teacher before registering for the class. The purpose of this class is to create special news segments and projects for Satellite High. Through a hands-on approach, students will learn the process and techniques for video production. Some after school filming/work is required. Limited class size -Students must apply and be accepted by the teacher before registering for the class.